Here are some helpful tips if your little one gets fussy! As you desperately try to soothe your child to no avail, you may find your mamma confidence dwindling, try the following tips to help you cope with the witching hour…See all 12 of these useful tips HERE. One of the most important things you can do to survive the witching hour, is to keep your cool. The witching hour is normal, lots of babies find it difficult to settle in the evening, and there are thousands of other new mammas going through this exact thing this very moment. Remember, you haven’t done anything wrong, you’re not a terrible mother, and this is normal. Repeat as necessary. Could It Be Colic? Colic is characterised as long periods of intense crying in otherwise healthy babies. 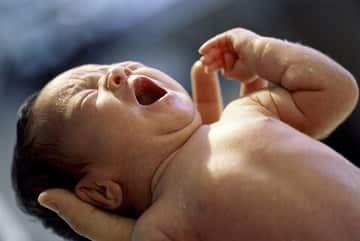 Around one in five babies suffer from colic, so there is a chance this could be causing your otherwise contented baby to cry all evening. Colicy babies have very intense cries, and may arch their backs, clench their fists and become red faced during bouts of crying. See all 12 of these helpful tips HERE.